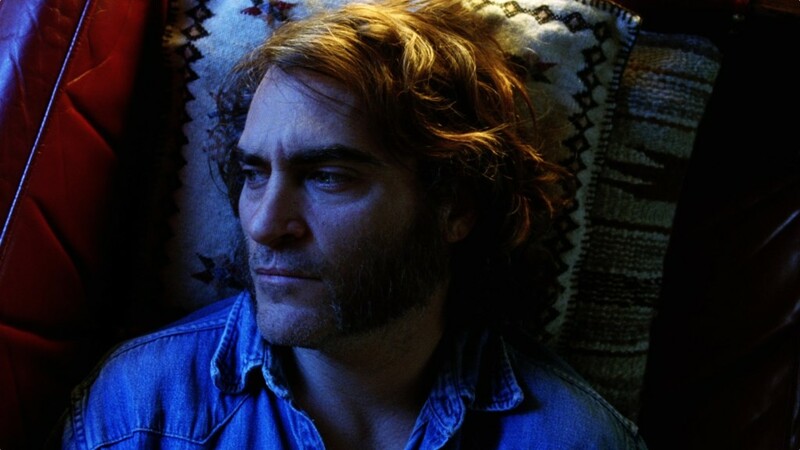 Just so it’s clear, I love Paul Thomas Anderson. I’d put him in my Top Five favorite directors list, right alongside Wes Anderson, The Coen Brothers, Woody Allen, and Christopher Guest. This will be PTA’s seventh feature film, and I’ve seen them all. Hard Eight was excellent, if not perfection. Boogie Nights is amazing, a blur of a film. Magnolia, with its stellar cast & oppressive mood. Punch-Drunk Love, Adam Sandler’s career role. There Will Be Blood, one of the best movies I’ve ever seen & books (Oil!) I’ve ever read. The Master, dark performances by three incredible actors. 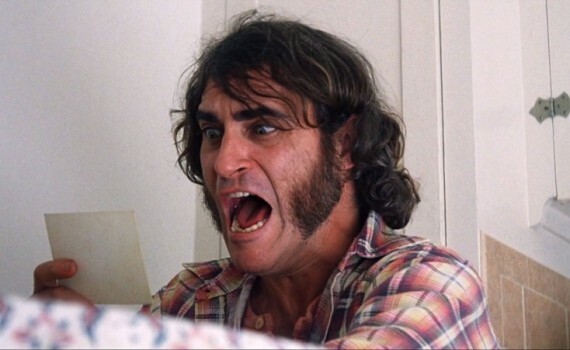 And now Inherent Vice, which had no reason to be anything less than wonderful. After all, the cast is brilliant, the director is a genius, the buzz is high, what could go wrong? But you still have to sit down and watch the film, it still has to speak to you in some way, and after 150 minutes of random names & random drugs I was sorry I tried to listen. Larry Sportello, or ‘Doc’ to his friends, is maybe the worse private investigator in the history of the United States. He’s a lowlife hippie beach bum who has dirty feet, messy hair, and smokes way too much pot. But hey, it’s the 70s, and all of Los Angeles is either a doper, a criminal, or a cop; Doc just happens to be a little of all three. When his old girlfriend Shasta shows up at his door looking like the rich girl she said she’d never be, Doc knows he’s in for a mess of trouble. Apparently Shasta has been sleeping with Mickey Wolfmann, the most powerful real estate mogul in California. Mickey’s wife is plotting something against him and Shasta needs help, but what is Doc supposed to do? Especially when he’s also called upon to find some Nazi’s, locate an undead husband, solve the mystery of an Asian sailing vessel, and basically figure out the mess that is L.A. in the span of a few days. Mess doesn’t begin to describe it. And some critics don’t even like that word, they find it to be too vague, but it’s just too perfect a term to pass up. This film is beyond messy; it’s nonsensical. At the beginning I was trying to figure out where all the stories would lead, how they’d all tie back in together. And then, about 30 minutes into it, I realized that that wasn’t the point. Nothing was just gonna come out clean in the end, it was destined to be a tangled knot forever. So alright, I accepted that and tried to enjoy the movie anyway, but that just wasn’t possible. Every scene introduced a new character, a new story line, a new problem, and Doc spins from one plot to the next without ever really knowing where he is. It just got old, really old, and I grew weary of trying to keep up. It was less like a Paul Thomas Anderson film and more like Fear and Loathing in Las Vegas meets L.A. Confidential. The L.A. cops, the dopers, the dames, the palm trees, the drugs, the fantasies; it was someone’s vision of a twisted utopia, but it never was mine. I lost any PTA feel very early on and missed him the rest of the movie. Where was the director I love, the perfect characters he can develop, the moods he so easily creates? Where was the story for that matter, because Doc running around the city doesn’t constitute as one. If I, a big fan, didn’t enjoy what I watched, I can’t imagine what your average Joe Shmoe audience member would think, and I definitely don’t know why critics rate this movie so highly. It wasn’t all terrible; with a cast like this how could it be? Phoenix was great and very likeable, the cameos were tremendously surprising and clever, and there were many times I laughed out loud. But 45 minutes of insanity is one thing, two and a half hours is completely another.